As a single Mom car maintenance is all on me now. It’s been a steep learning curve, and unfortunately I’ve learned several things the hard way. On my very first vacation as a single Mom, I drove through a sketchy area in route to our destination. As I sat at a stoplight double checking the door locks, I thought to myself, “What would I do if my car broke down right now? ?” At that moment, I realized car maintenance hadn’t even crossed my mind since becoming a single Mom. No telling what was overdue! Thankfully we made it through that area (and the vacation) without breaking down. After that experience, I decided I wouldn’t leave town again without doing everything possible to ensure our van would be reliable. I could take my van in for a complete check and tune up prior to traveling, but that’s not in my budget as a single Mom. Instead, I’m slowly learning how to accomplish many car related tasks myself. It turns out basic car maintenance isn’t nearly as difficult as I imagined! Keeping up with the bigger maintenance needs is also important, especially before summer vacation season starts. Taking care of upkeep is not only cheaper than finding myself stranded while out of town- it’s also safer. I do not want to end up on the side of the road in a strange place with my babies in tow because I didn’t take care of my car! 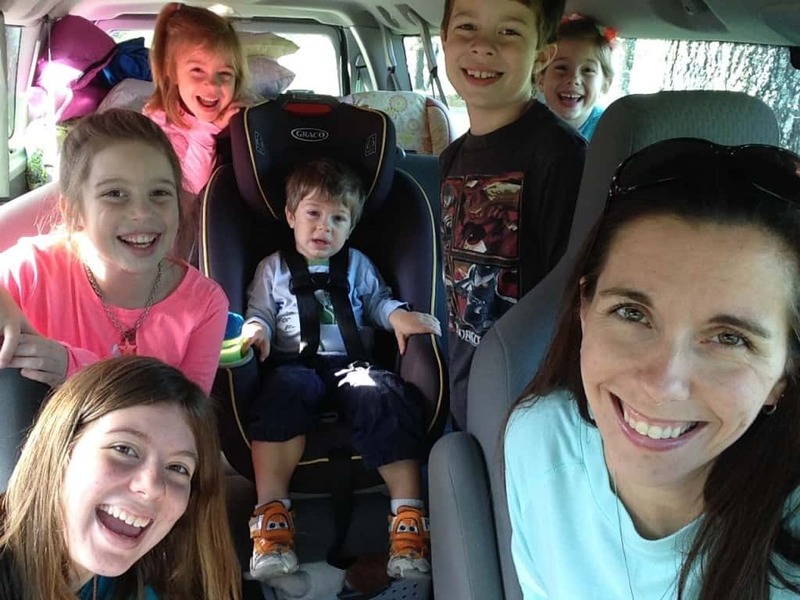 So, with summer travel looming, what can a single Mom do to ensure her car is in good shape for a road trip? 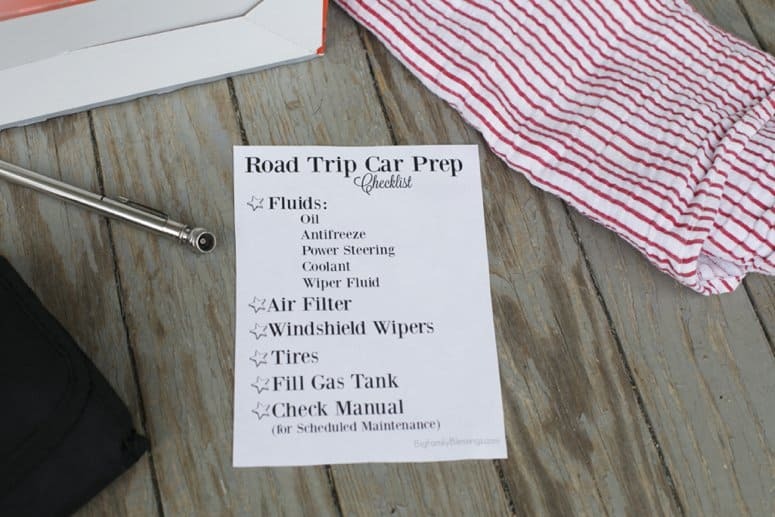 Print this Road Trip Car Prep Checklist. Laminate it, and tuck it inside your glove box with your car’s owners manual. Each time you travel complete the checklist so you can travel with confidence! 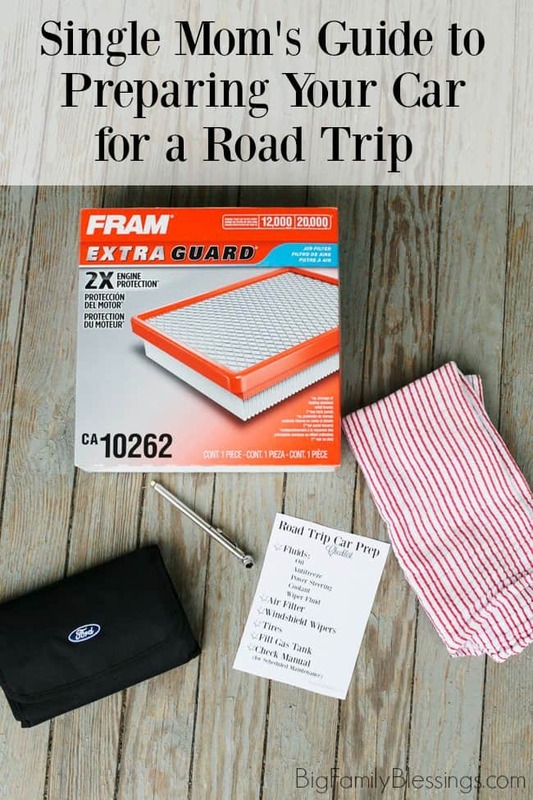 *Tip- schedule time to complete the Road Trip Car Prep Checklist the weekend before your scheduled vacation, leaving time to take care of any issues that pop up prior to the trip. Check your owner’s manual to determine how often to change the air filter (often annually or every 12,000 miles). Changing the air filter should only take about five minutes! 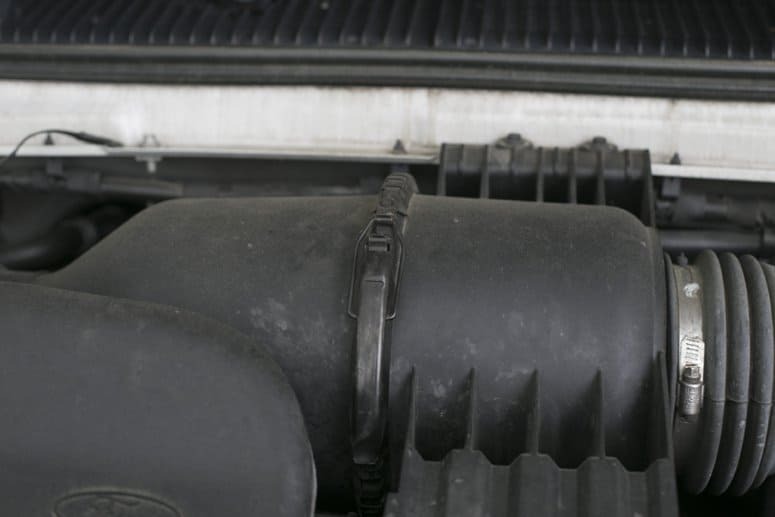 A clean air filter not only improves air flow and keeps dirt and dust from damaging the engine, but can also improve an engines overall performance. 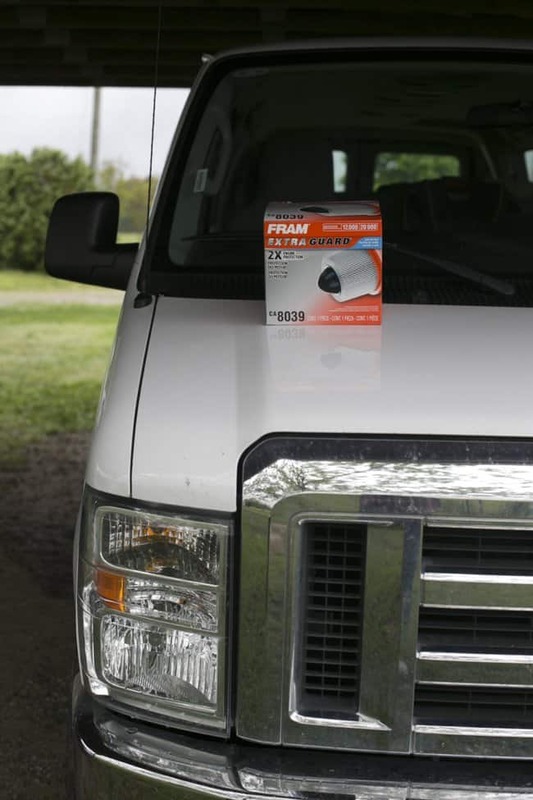 I picked up my FRAM Extra Guard Air Filter from Walmart, where a kind employee helped me chose the right filter for my car’s engine . Now that I’ve changed my air filter, I shouldn’t have to change it again all summer! That was one very easy step to keep my car running well while traveling this summer! Rain, nighttime, a strange place, and bad wipers are not a good combination! This is another lesson I learned the hard way. Wipers should be replaced every 6 months to a year, or as soon as you notice reduced visibility. Check your car’s manual for wiper sizes. You need to buy TWO. The first time I bought wipers I assumed they’d come in a two pack…WRONG! Whoops. Apparently some cars even use two different sizes of wiper blades. Use your owner’s manual (or you might find a decal in the glove box or on the driver’s side doorjamb) to determine the pressure recommended for your car. The recommended pressure might be different for your front and back tires. Check the air pressure using a tire gauge. Also, check the tread on your tires. Tires can wear out at different times, so check every tire, not just one. Place a penny into the tire groove with Lincoln’s head upside down. If you see all of Lincoln’s head, your tire’s tread is worn out and you need new tires as soon as possible. Yup, another lesson I almost learned the hard way. I’ve learned to fill my gas tank a few days before our trip to decrease the amount of time my little ones spend in the car on travel day. Plus, this is a good time to add air to any tires that were low when you checked them. Read your owner’s manual, a regular maintenance schedule for your car is inside it! You’ll find things like replacing break pads, belts and hoses, changing fuel filters, and rotating tires there. Use that schedule to determine if you need to schedule any major maintenance before vacation season starts. *Tip – find a convient location to keep a record of all car maintenance. (I use the last page of my day planner, but you could also keep a notebook in your glovebox.) Keep a record of the date, mileage and maintenance completed. This makes running through the checklist much quicker! For example, My list tells me that I replaced my windshield wipers in April, so I know they should last all summer, and new tires in January means I shouldn’t have to worry about replacing them this summer either, though I still need to check the tire pressure before each trip. 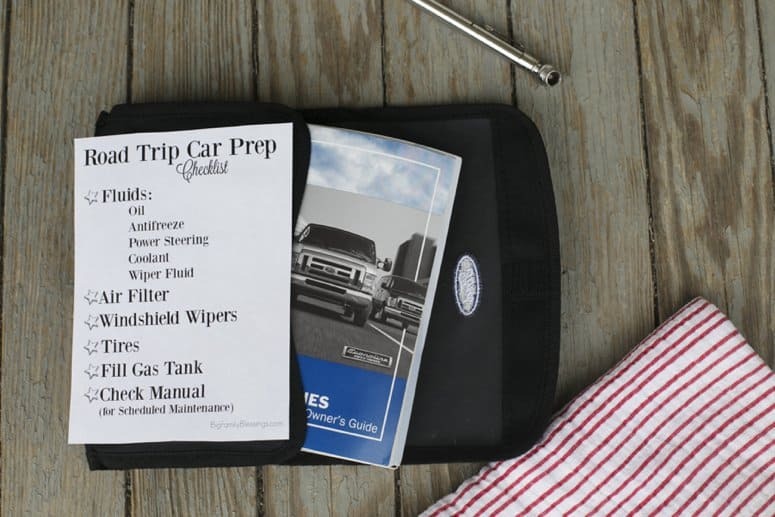 Now that you’ve gone through the Road Trip Prep Checklist, go on vacation with confidence that you’ve done all you can to ensure your vehicle’s reliability! How do you get your car ready for road trips? Wow! I'm impressed! I better get myself more well versed with my car. Good for you! For us, we can't even think about going out of the house without a ton of snacks!! Wow you go mama! This is a great checklist for any road trip. Wow! 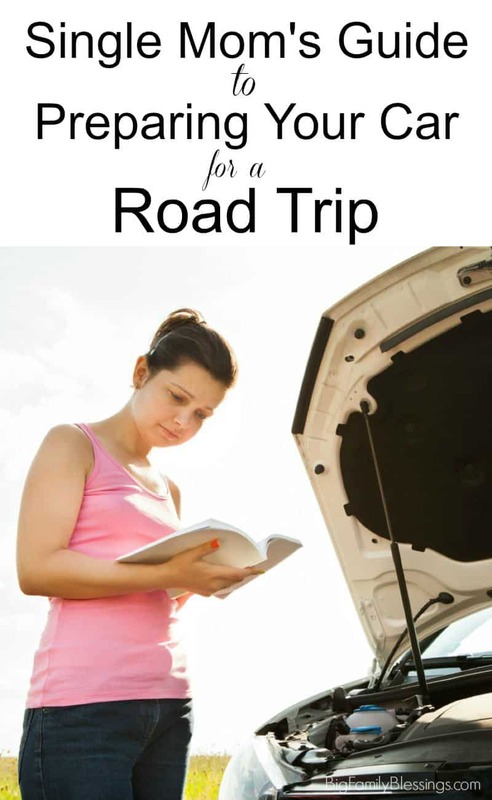 This is a great checklist for any road trip! Thank you so much for sharing it! Thanks for all the info on the air filter. I admit I would be totally lost if I had to replace mine on my own!